Few Australians have given more to cricket than Rodney William Marsh, one of the most competitive players to wear the Baggy Green. Australia’s youngest ever wicketkeeper played 96 Tests, set a world record of 355 dismissals and stood at the heart of the legendary Australian Test team of the 1970s and early 80s, forming a world-best partnership with Dennis Lillee. As coach at the National Cricket Academy, Marsh helped shape a new golden era for Australian cricket, moulding young players such as Ricky Ponting and Adam Gilchrist. He then did the unthinkable when he went over to the old enemy and helped England to a drought-breaking Ashes win in 2005. Back in for Australia, Marsh became chairman of national selectors at a time when Australia won the World Cup and reached the top of the world Test rankings. 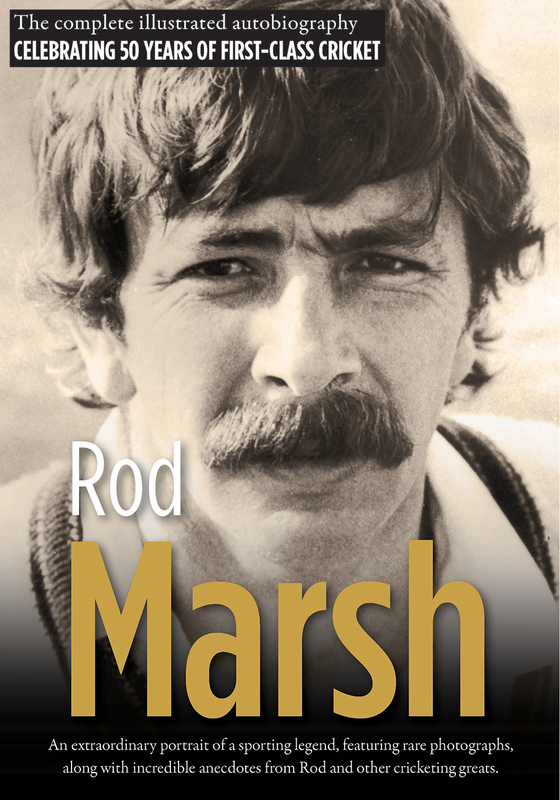 This illustrated autobiography, including photographs from Marsh’s private collection and contributions from a who’s who of cricketing legends, is an incredible insight into an Australian sporting icon. Featuring contributions from Dennis Lillee, Ian Chappell, Greg Chappell, Mike Brearley, Michael Holding, Clive Lloyd, Darren Lehmann, Andrew Strauss, Adam Gilchrist, Ricky Ponting, Justin Langer and many more.